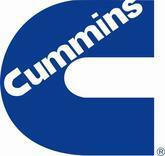 Cummins Mid-States Power Inc is a leading generator sales and service company that is based in the United States. Cummins Mid-States Power Inc operates under the Cummins and Onan brands. Cummins Mid-States Power Inc offers products and services such as construction equipment, rentals, generators, farm equipment, motors, engines, electric motors and industrial equipment. Additionally the company also offers emergency standby, RV marine portables, prime power systems, residential standby specialist, planned maintenance services and switchgear and accessories. Since its inception, Cummins Mid-States Power Inc has expanded tremendously to become one of the leading companies in the country. Cummins Mid-States Power Inc is based in Indianapolis. There are currently 0 consumer reviews about Cummins Mid-States Power Inc available. Share your review. Please take a note that you are about to post a public review about Cummins Mid-States Power Inc corporate office on CorporateOffice.com. This review will be public, so please do not post any of your personal information on this website. If you would like to contact the corporate offices of Cummins Mid-States Power Inc, please use their contact information such as their phone number, website, and address listed above to contact them. However, sometimes staff from Cummins Mid-States Power Inc headquarters do read the reviews on this website.